The Spectacled Avenger: Is Ignorance Really Bliss? For many centuries it has been believed by the best minds that knowledge of oneself is the key to happiness. Nosce teipsum, “Know thyself”, was the oracle’s advice, while Stoic philosophy required the sage to look inward, to discover one’s secret motivations, so that one could control them in the service of virtue. Even those brave few who contended that we are mostly mysteries to ourselves — Rochefoucauld and Nietzsche come to mind — rather lamented than commended our ignorance. Today, many a psychotherapeutic approach to mental well-being involves some kind of treatment predicated on the notion that the acquisition of self-knowledge will lead to psychological health. Various therapeutic theories differ on what exactly constitutes self-knowledge, whether it lies in confronting repressed memories of traumatic experience, or uncovering repressed desires of a largely sexual nature. But the basic therapeutic structure is usually the same: there is some truth about self that must be discovered, confronted, and worked through in order for psychotherapeutic goals to be achieved. Self-discovery leads to self-knowledge, which leads to well-being. So, what if it could be demonstrated that self-knowledge was not correlated with such well-being, or worse, was negatively correlated with it? Some psychological research claims to show exactly this negative correlation. One well-known study from back in the 1980s by Shelley Taylor and Jonathon Brown claimed to demonstrate that people tend to have unrealistically positive views of themselves and their abilities, and that this is correlated with greater subjective well-being. In this study the authors make the claim that well-being is linked to positive illusions about the self (Taylor and Brown 1988). 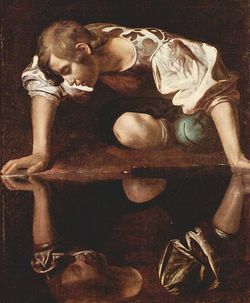 Before proceeding, it should be noted that by “illusion”, Taylor and Brown mean not merely occasional bias or error, but something more enduring: “Error and bias imply short-term mistakes and distortions, respectively, that might be caused by careless oversight or other temporary negligences. Illusion, in contrast, implies a more general, enduring pattern of error, bias, or both that assumes a particular direction or shape” (Taylor and Brown 194). Contrary to the oracle’s advice of “Know thyself”, the study by Taylor and Brown indicates that the high road to happiness may very well lie in ignorance of self. Indeed, it has even been suggested that “therapists working with depressed people should not stop therapy once patients have reached a balanced, realistic self-concept; perhaps they should continue showing them a way to ‘creatively deceive themselves’” (Avia 49). Conversely, other studies purport to show that subjects who are severely depressed (and thus who presumably experience diminished well-being) have a more realistic estimation of themselves and their abilities (Alloy and Abramson 1979; Frijda 1993:396). On the face of it, these studies constitute a strong objection to the view that self-knowledge contributes to the happiness of an agent. As a philosopher who cares about truth, I personally find this conclusion disturbing. Can it be refuted? Well, to begin with, let’s take the clinically depressed person who has an accurate but unflattering sense of self-worth. First, we must ask the extent to which her self-assessment is the result of effects associated with the depression itself. If she cannot get out of bed or live up to her responsibilities because she is suffering from depression, it is not hard to imagine that this would have a negative effect on her self-image. Yes, perhaps her assessment is accurate, but her lack of well-being (i.e. her depression) could not be said to be caused by her self-knowledge; things are more likely the other way around. In other words, it is possible that the cycle begins with depression, which leads to life problems, which leads to a negative (but realistic) view of self. If so, then it is not the case that veridical (true or “truthy”) self-knowledge leads to diminished subjective well-being. Furthermore, it is plausible to suppose that some veridical self-knowledge is a necessary condition for recovery from the depression; the sufferer must at the very least be able to recognize her own lack of well-being if she is to be motivated to seek out help for her depression. This is unlikely to happen if she is positively deluded about herself. On the other hand, Taylor and Brown might say that if she is positively self-deluded, she is unlikely to be suffering from depression in the first place. So far, the discussion has assumed that depression is a subjective state that is the opposite of psychological well-being. When one is depressed, one cannot be happy. And certainly, when one is depressed, one is by definition lacking psychological well-being. However, this may be too narrow a view of well-being. Well-being might better be viewed from the perspective of the person’s life course, rather than occurrently. It has been suggested that in many cases depression, rather than being viewed as a mere pathology representative of unhappiness, can alternatively be viewed as an opportunity for further emotional and spiritual growth, perhaps beyond the limited growth available to the happy but self-deluded, a proverbial “one step back, two steps forward” along a continuum of pathology and health (Martin 150-151). In other words, at the risk of sounding dismissive of the depressive person’s suffering, depression could be regarded as an opportunity for growth not available to the happily self-deluded. At the very least, assuming that they possess veridical self-knowledge (even if it is negative), the depressed are better placed to see that there is room for improvement, whereas the positively self-deluded are less likely to perceive ways in which they could improve themselves. And the fact is, all of us have room for improvement; personal growth (in whatever sense you wish to give this phrase) is not something with a finish line. Staying for a moment longer with the theme of supposed insight-related depression, we may also remark that the research on a supposed correlation between negative veridical insight and depression makes use of a group of subjects (the clinically depressed) who presumably have been identified (diagnosed) with clinical depression, which means that we are likely dealing with people who have sought out help at some point for their condition. This means that there is a selection bias at work here, because positively self-deluded people — those who have positive but false views of their unhealthy lives — are unlikely to seek out such help. Unlikely, that is, unless something occurs that breaks through their positive illusions, a breakthrough that seems akin to the acquisition of some insight or self-knowledge, albeit of the negative variety. This would happen where the happily self-deluded person suddenly has an (involuntary?) insight into the real state of affairs: the curtain is pulled back for an instant, revealing that things are not coming up roses. Such a breakthrough could be seen as a structural failure of that very well-being that was supposed to be the reward of self-delusion. Self-delusion is a façade that can spontaneously crack — hardly a sound basis for lasting psychological well-being. Positively self-deluded people with unhealthy lives are just as much in need of help as those who have insight into their condition, if for no other reason than that the delusions cannot be relied on in the long term. Since just about all psychotherapeutic treatments that go beyond the mere ingesting of pills are predicated on the patient’s putative acquisition of self-knowledge, and since the positively self-deluded but unhealthy person is in need of help, the positive illusions of self represent a barrier to long term health, not the guarantee of it, contrary to the Taylor-Brown thesis. At the very least, a depressed person must recognize that he is depressed if he hopes to get well, and to stay well. Moving away from the realistically depressed, let us examine a little more this other kind of person indicated in the research, the person who has an inaccurate but elevated sense of self-worth, accompanied by a consequent experience of well-being. First, by definition, he is ignorant, lacking self-knowledge. He also supposedly experiences higher subjective well-being. But it is a kind of well-being that is not in his control: positive self-illusions may be fragile if they are not grounded in something objective. For example, in Taylor and Brown’s study it was found that these subjects tend to make inaccurate probability assessments of chance events (Taylor and Brown 196). They are more likely to believe that the good luck they experience is the result of their own talents, their own doing. This tendency will obviously make them poor gamblers (of course, probabilistically speaking, there are no such things as “good” gamblers, just lucky ones). They will tend to mistakenly believe that they have control over events that are in reality random. This means that such people will also display poor judgment in other things besides casino games. With such illusions, life will often threaten to throw unpleasant surprises at them. If things go well for them and their positive self-illusions are maintained, that is hardly due to a strong link between self-ignorance and well-being. The well-being here can be largely chalked up to chance, and self-ignorance cannot be recommended as an efficacious strategy for achieving it. We can add to this the fact that other people are a source of knowledge about oneself; you may be happily enjoying your positive self-illusions, but there will be other people who will just as happily disabuse you of those illusions. A candid friend or an over-optimistic miscalculation of one’s odds of success in a venture can interfere with one’s pleasant delusions. Of course, people can rationalize and spin new narratives in the face of uncomfortable truths, but there are always limits to such defense mechanisms. The fact is, in the long run it is difficult to see what advantage is possessed by the deluded but optimistic person who believes that her chances of winning the lottery are very good, over the person who accurately believes her ticket only has a one-in-a–hundred-million chance of winning. The latter may avoid wasting money on losing tickets. And even if she does for whatever reason purchase a ticket, she is less apt to be surprised or disappointed when she loses. Barring long runs of good luck, it is easy to picture the well-being of the positively self-deluded as being episodic, interspersed with frequent disappointments caused by poor judgment. Of course, at the end of the day their inflated self-worth may yet be left untouched; delusion may conquer reality. But if they only had a more realistic view of themselves and their abilities, they might be able to avoid making so many poor judgments. Furthermore, even if they manage to maintain their positive illusions against all contrary events and evidence, it is difficult to see why we should call these people happy, any more than we would call a well-fed sea slug or a lobotomized but contented zombie happy. If we speak of the “happiness” of the lobotomized, we do so in an attenuated sense; we are more likely to speak of them as unfortunate. If I am given a choice between really being the kind of person I would like to be, or merely believing (inaccurately) I am that kind of person, the rational choice would be the former. However, if I do not know who I really am (warts and all), I cannot take steps to make my real self match my positive illusions about myself. I am giving up the rational choice for the less rational — and more fragile — one. A truth is a truth, whether it be about the world or about oneself. If your happiness is based on denying the truth about yourself, you are making your happiness contingent upon the world’s cooperating with you by not revealing your ignorance. This is not necessarily wise policy, for at least two reasons: First, the world may not cooperate with you. Second, you may be cutting yourself off from opportunities for growth and understanding, things that must be considered valuable in any adequate conception of well-being. In later work (e.g. 2008), Jopling has argued that many insight-oriented psychotherapies rely on a sort of placebo effect. To the extent that they are effective, such “talking cures” rally the native restorative forces of the mind in much the way drug placebos rally the native restorative forces of the body. On the surface, this would seem to support the Taylor-Brown thesis, at least insofar as it claims that the well-being produced by insight-oriented psychotherapies may bear no relation to the truth of the “insights” they generate. On the other hand, Jopling argues that in addition to producing well-being in a certain number of subjects, the “talking cure” placebo imposes risks on the subject too, risks associated with self-misinterpretation and self-delusion. Again, Jopling still contends that the truth about oneself matters. But he casts doubt on the notion that insight-oriented psychotherapies produce true self-knowledge, and he also casts doubt on the notion that it is the self-knowledge per se, whether true or not, that is important in the therapeutic process. ALLOY, L. B. and L. Y. ABRAMSON. “Judgment of Contingency in Depressed and Nondepressed Subjects: Sadder but Wiser?” Journal of Experimental Psychology: General 108 (1979), 441-485. AVIA, Maria D. “Personality and Positive Emotions,” European Journal of Personality 11 (1997), 33-56. FRIJDA, Nico. “Moods, Emotion Episodes, and Emotions,” in M. Lewis and J. M. Haviland (eds. ), Handbook of Emotions. New York: Guilford Press, 1993. JAMES, William. The Varieties of Religious Experience. London: Routledge, 2002. JOPLING, David A. “‘Take away the life-lie…’: Positive Illusions and Creative Self-Deception,” Philosophical Psychology 9 (1996), 525-544. —— Talking Cures and Placebo Effects. Oxford: Oxford University Press, 2008. MARTIN, Mike W. From Morality to Mental Health: Virtue and Vice in a Therapeutic Culture. New York: Oxford University Press, 2006. TAYLOR, Shelley E. and Jonathon D. BROWN. “Illusion and Well-Being: A Social Psychological Perspective on Mental Health,” Psychological Bulletin 103 (1988), 193-210. "A truth is a truth, whether it be about the world or about oneself." Younger Joe would have been ready for a semi-coherent argument about this one, what with all those dubious presuppositions like "truth" and "self". Older Joe doesn't have a horse in this race, tho. I'm glad to hear it. Granted, "self" is a pretty slippery concept (not to say there's no such thing). But "truth", well, if you don't believe that some propositions are true and others false, then you've denied yourself the very grounds upon which you must argue against the concept of truth. After all, doesn't the proposition "There's no such thing as truth" at the very least rely on the supposition that the proposition is true? Honestly, sometimes I think their columnists are cribbing from my blog; they're seriously that lazy. Margaret Wente is the worst offender. You're just that much ahead of the zeitgeist. About five days ahead, apparently. Not enough to make me rich or anything.